I adore all things Halloween - the costumes, the candy, the spooky decor - so each year I try to post something special here to celebrate. The past two years I've created movie-inspired cakes (see here and here), but this year I'm doing something a little different. Recently my best friend created the most beautiful ofrenda skull, and it inspired me to make one of my own! 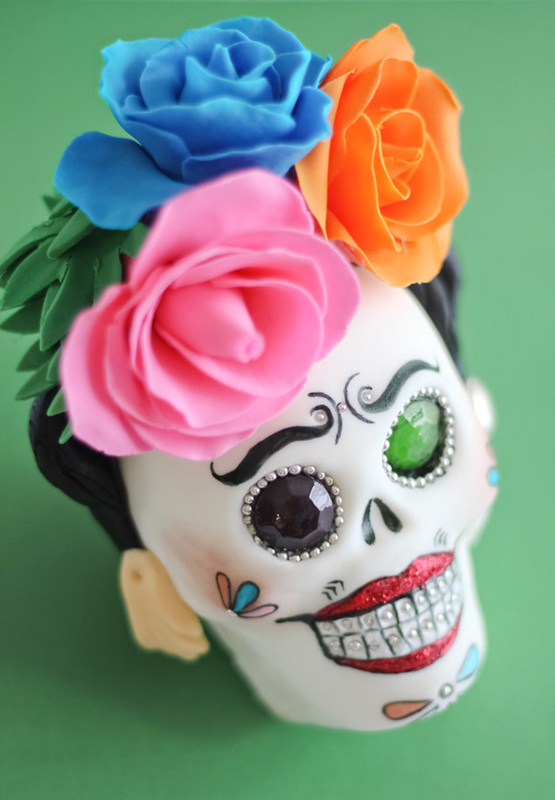 If you're not familiar with sugar skulls and their meanings, then here's the gist of it: Day of the Dead (Dia de los Muertos) is a Mexican holiday that takes place October 31, November 1st and 2nd. During this time, spirits are welcomed back to their homes with decorated altars made by their loved ones. Sugar skulls are an important part of this decor and they commonly bear metallic embellishments, brightly colored icings and the name of the deceased loved one being honored. I'd never made sugar skulls before, so I thought it'd be fun to document my first attempt with a video (you can find that a little later in this post). It was a fun process, and reading all the history and tradition behind the holiday really made it meaningful. It wasn't too hard to choose a subject for my sugar skull. Mexican painter Frida Kahlo is one of my favorite artists of all time. Her work is beautiful, tragic, ugly, and honest. It's full of pain but also the love of life. Much of her life was spent in physical pain due to a bus accident that shattered her spinal column, and she also suffered emotional pain because of the man she chose to love (the marriage of a dove to an elephant, some called it - you can guess which is which). But from all this pain and loss and love grew beautiful works of art from her hands, most of them self-portraiture. 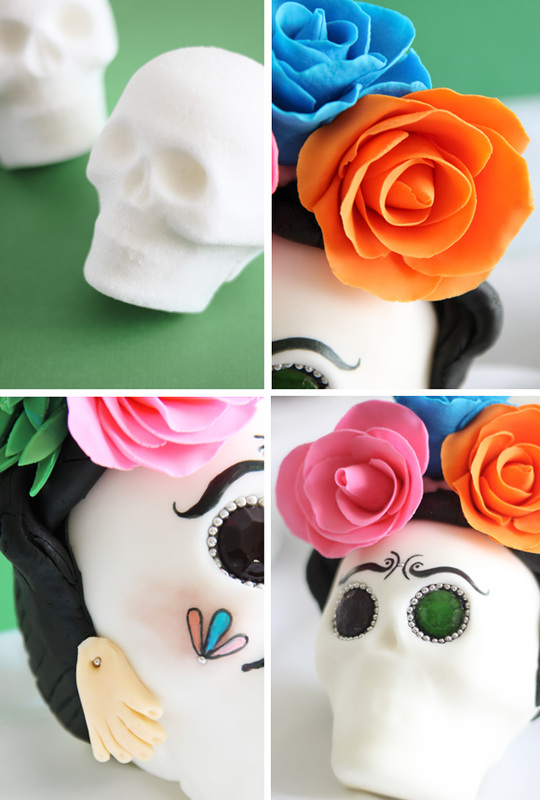 Speaking of hands - I bet you saw the above picture and wondered why my sugar skull is wearing a hand as an earring. You can see Frida wearing these in "Self Portrait Dedicated to Dr Eloesser". The earrings (called milagros) are wax pieces shaped in the form of the body part that a person wants to be healed. The earrings were a gift from Pablo Picasso, during the time she was recovering from a hand injury. But enough backstory for now - on to the creative deets! 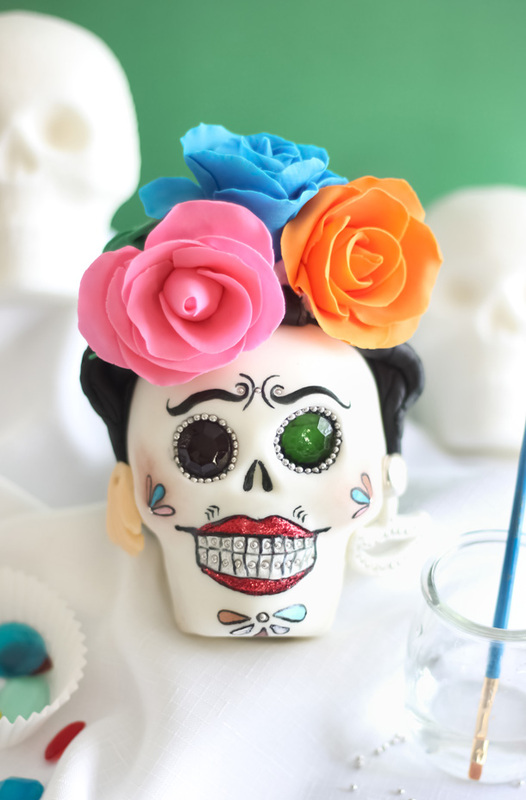 To get started, you'll need a sugar skull mold. I love the look of the larger 3D skulls (more room to decorate!) and I found a nice mold here. According to this site, good meringue powder is also a must! I followed their advice and used CK products meringue powder, and the blanks turned out beautifully. You can see the results of my very first attempts in the video embedded below. You'll need to whip up a batch of royal icing to assemble the skulls, which shouldn't be a problem since you'll already have the meringue powder on hand. Before putting the two halves together, the middles of the skulls need to be scooped out to about 1/2 inch thickness. This lightens the weight of the skull so they can stand upright. Only scoop out the skull portion - leave the chin portion as-is. Boy, October seems to be flying by too fast! There are all kinds of things I'm still trying to squeeze in before Halloween - pumpkin carving, pie baking, costume-making - and I'm determined to not let it all go by without celebrating to the fullest. 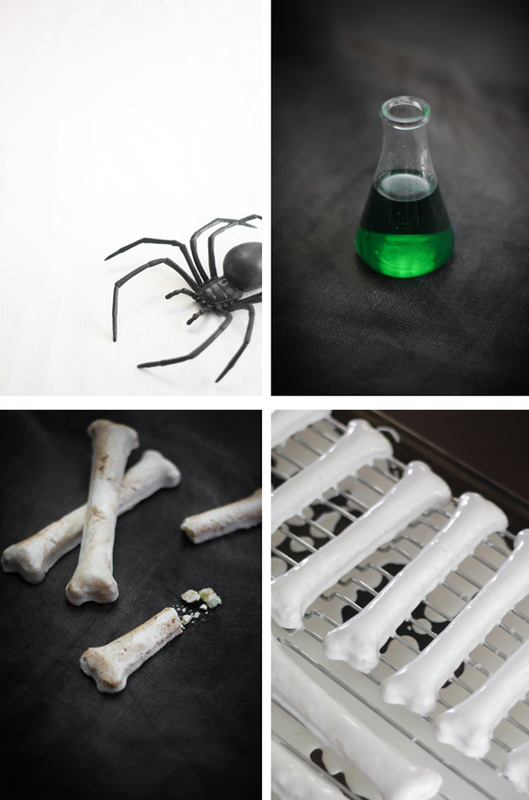 I've been enjoying the recent box of goodies that Wilton sent me to review, especially this bone cookie pan. I squealed a little when I saw it because I knew I'd not only use it for Halloween treats, but also for dog biscuits for the pug-a-lugs. But first, I wanted to whip up some spooky people treats, and glazed sugar cookies seemed a good fit. 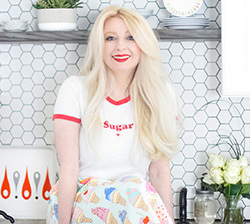 It's been brought to my attention that I'm a candy girl in the truest sense. Meaning, I like all candy. Meaning, I like candy that most people don't like. Just last weekend I was getting major side-eye from the Mr. for eating candy corn and black licorice at a party. Turns out, that candy was meant to be table decoration, but hey - decorate with candy and expect to come up a few pieces short. Am I right or am I right? 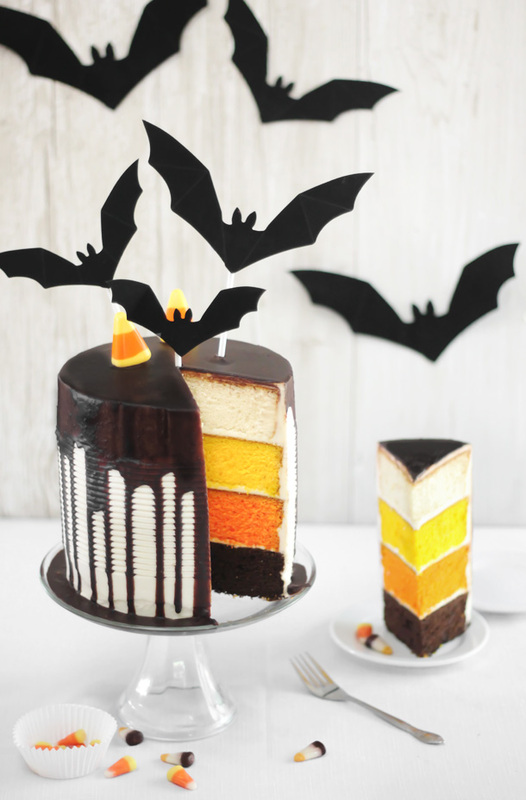 This cake is for both candy corn fanatics and detractors. The only prerequisite is - you have to like cake. 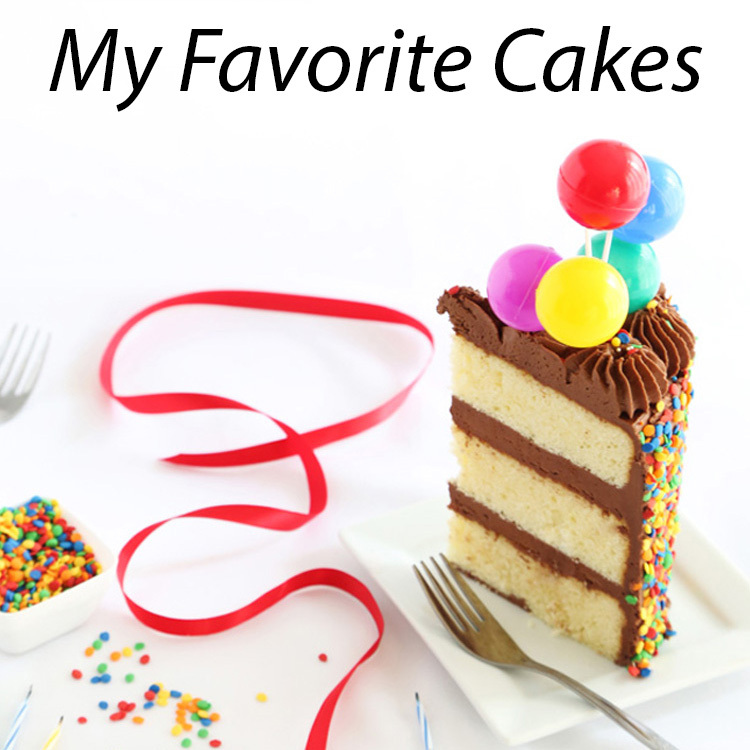 I used a tried -and-true white cake recipe and manipulated the flavor with extracts. 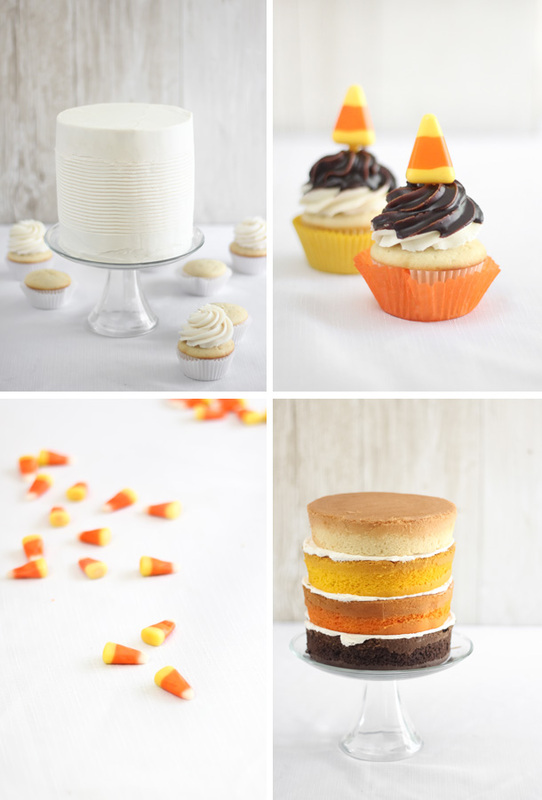 It's pretty hard to nail down the flavor of candy corn (it's mostly just one note - sweet), so I decided to make the cake layers little more interesting. From top to bottom, the white layer is vanilla, the yellow layer is butter rum (I used LorAnn flavoring), the orange layer is flavored with orange extract, and the bottom layer is chocolate, made with dark chocolate cocoa powder. I really love how all the layers taste together - it's kind of like a citrus-y butter candy with a chocolate wallop at the end. 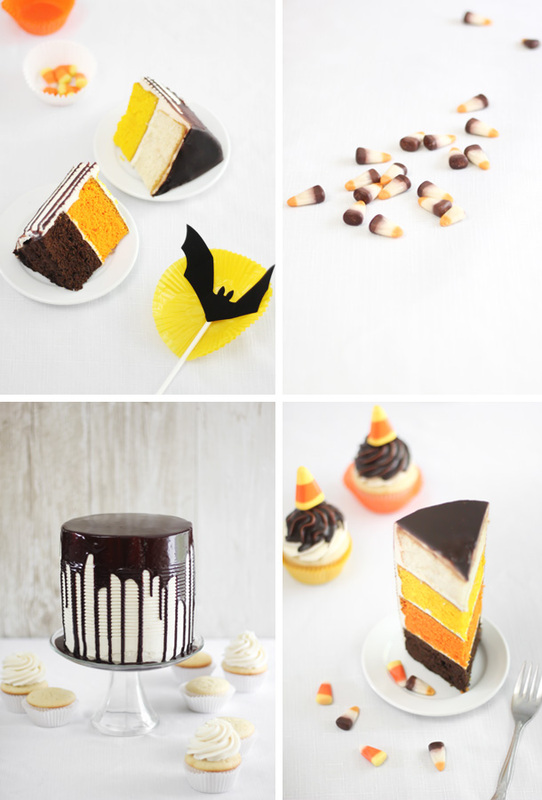 The chocolate elements of this cake were inspired by the new flavors of candy corn available. I mean, have seen S'mores Candy Corn yet? I'd reckon even the most candy corn-eschewing person would have trouble turning that down. As for the drippy ganache, it's quite spooky looking, don't you think? I didn't realize how spooky until I saw Kristan's Scary Cherry Cake. 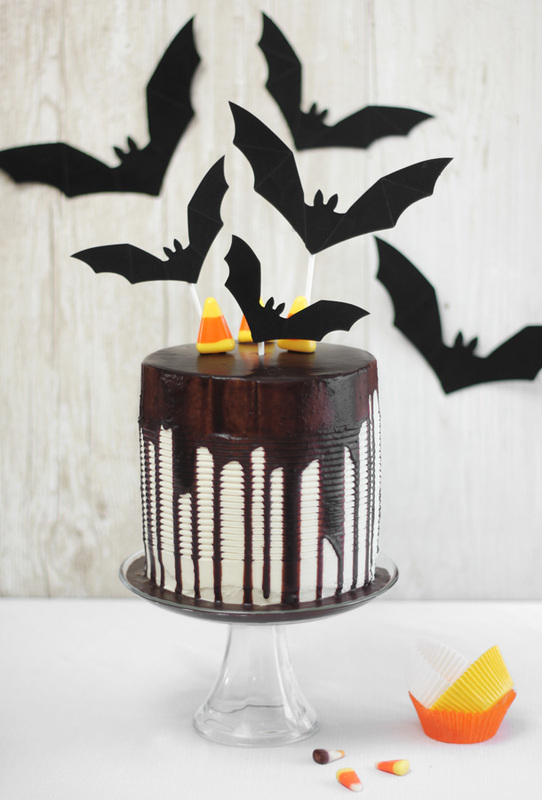 Like Kristan, I tend to lean toward cakes that look cute-spooky instead of scary-spooky, and the ganache is right on point for cute. Hi friends! 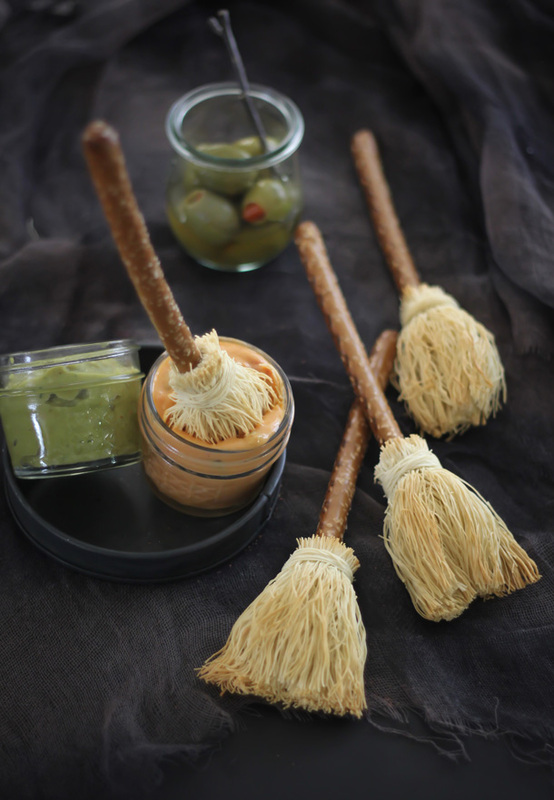 Halloween is fast approaching, so today I'm sharing a SUPER simple recipe for witchy pretzel broomstick appetizers on the Etsy blog. 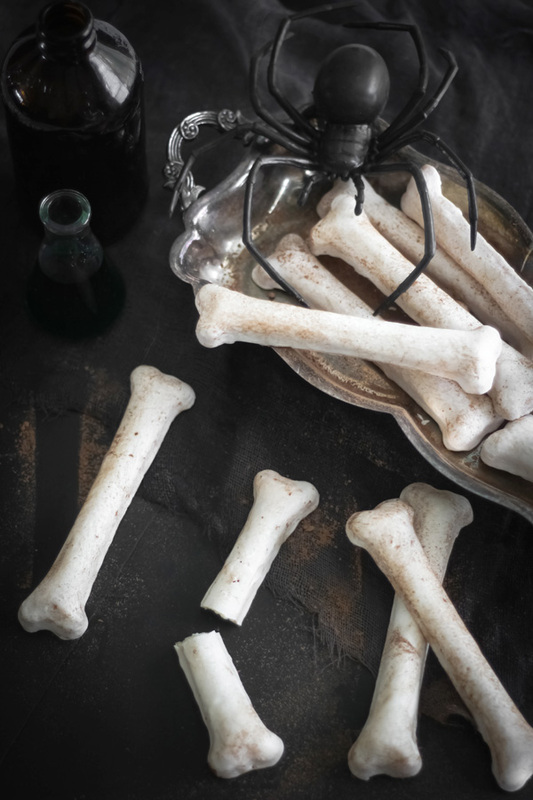 They'll elevate your Halloween party table to a whole new level of cute, and they only require two ingredients! 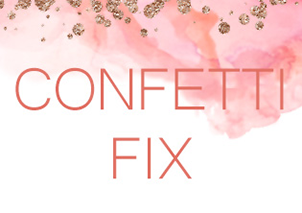 Hop on over for all the details and step-by-step photos. I just love a good Bavarian cream. Remember this cake I made two years ago? Yeah. That's still one of my favorite recipes of all time. I usually make a molded white chocolate Bavarian each year at Christmastime, but I'd never considered making one during autumn months. I mean, with all the warm cinnamon rolls, pumpkin breads and apple pies, it didn't even occur to me until... until! My oven suddenly stopped working - mid-brownie baking, no less. 'Twas a sad day. During the two weeks without an oven I revisited an idea for a crepe cake. I've been wanting to make another one for ages (see my first one here), but other recipes took precedence. So, when I found myself with no means of baking, the crepe cake idea seemed like a shiny new penny. Most of the work is done on the stove top, and that part of my kitchen was still alive and well. First, I should tell you that this cake was one big experiment from the get-go. With no instruction, I wasn't sure if crepes and Bavarian cream even belonged together. Or if it would mold as beautifully as I'd imagined. Thankfully it did! 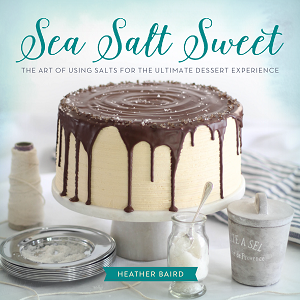 It's just as dreamy as I'd hoped it would be, and the many-layered texture is divine! Here's how I put it all together. 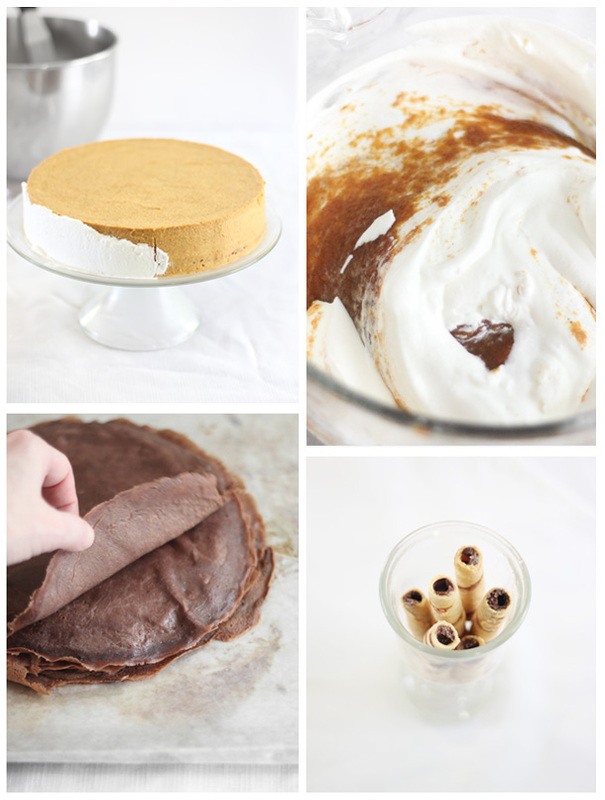 First, you'll need chocolate crepes. The recipe I provided makes a big stack of sturdy, eggy crepes. 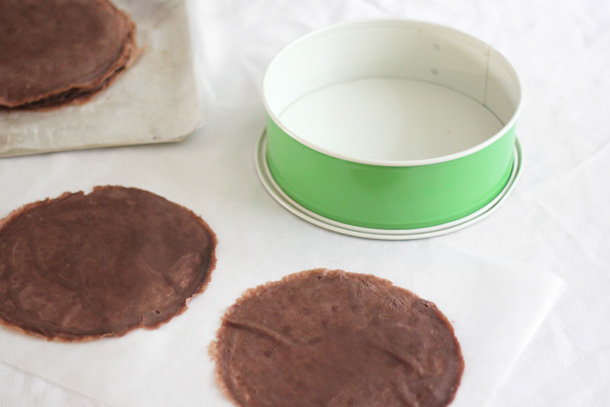 Some grocery stores sell ready-made crepes, and if you wanted to short-cut this recipe, then you could buy them instead. You'll need 12. I hadn't planned on blogging this recipe, but it's just so darn good that I decided to go ahead and share. Last week I was asked to create a smash cake for a baby's first birthday, and it had to be dairy-free. I used a simple egg-free vanilla cake recipe with vegetable oil as the fat instead of butter. I was uncertain that the cake would rise well because of the lack of eggs, but a combination of baking soda and vinegar as leaven worked like a charm. End result? Pretty good. It tasted best straight from the oven, but over time (and without frosting) it became dry. I decided to completely re-work the recipe as pumpkin spice cake. 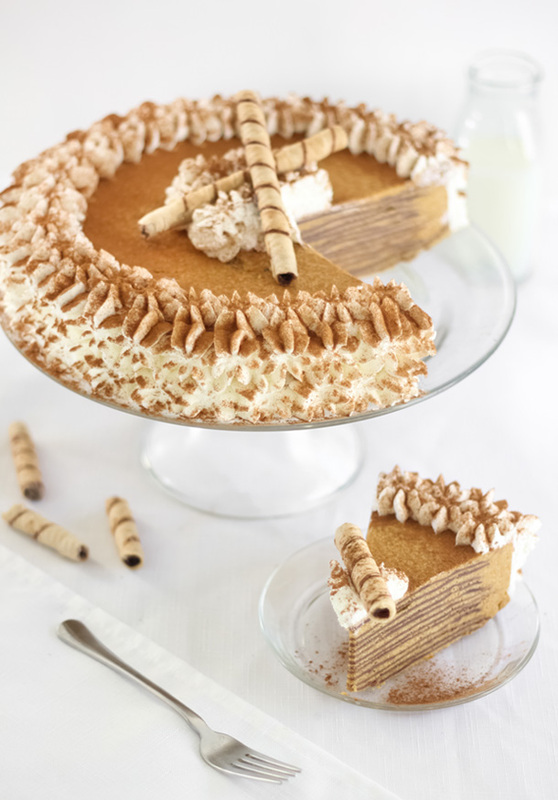 I felt sure that the added pumpkin would completely change the cake's texture for the better - and it did! 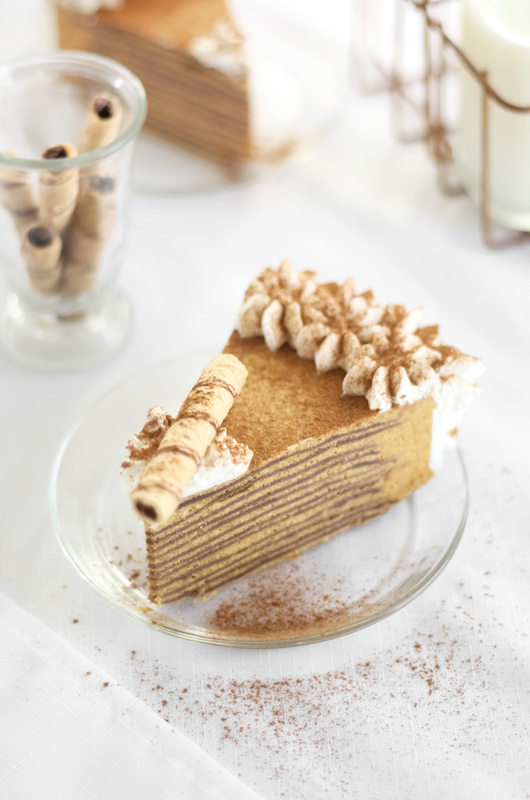 It's moist and tender, and so good with - also dairy free - coconut whipped cream. 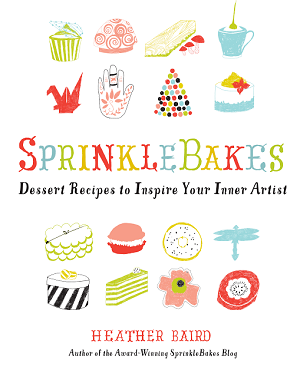 I baked the batter in a ruffled cakelette pan, but you can also divide it between paper liners and make cupcakes. The cakes crown as they bake (meaning they get that cute little "bump" on top) so they'll support a nice big dollop of frosting. 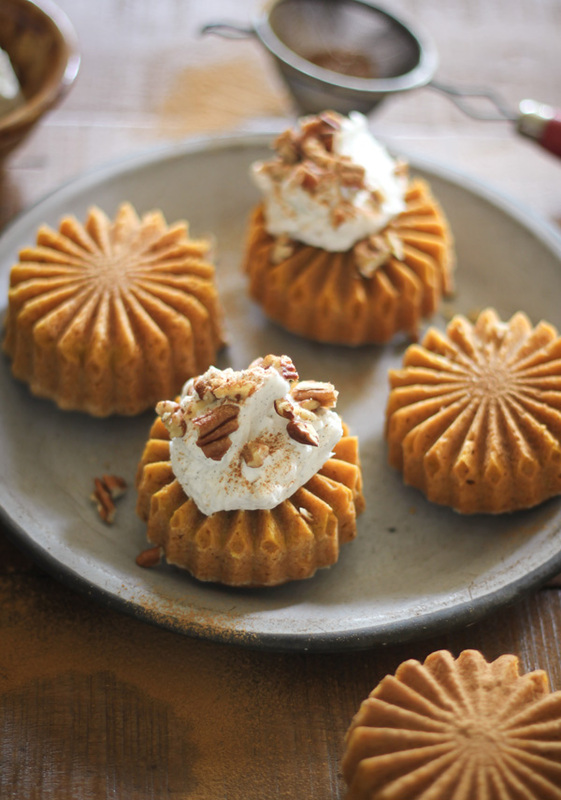 I'm no expert on dairy-free or vegan baking (which I suppose is why I was hesitant to share these) but I feel these little cakes are every bit as good as their butter-filled counterparts. 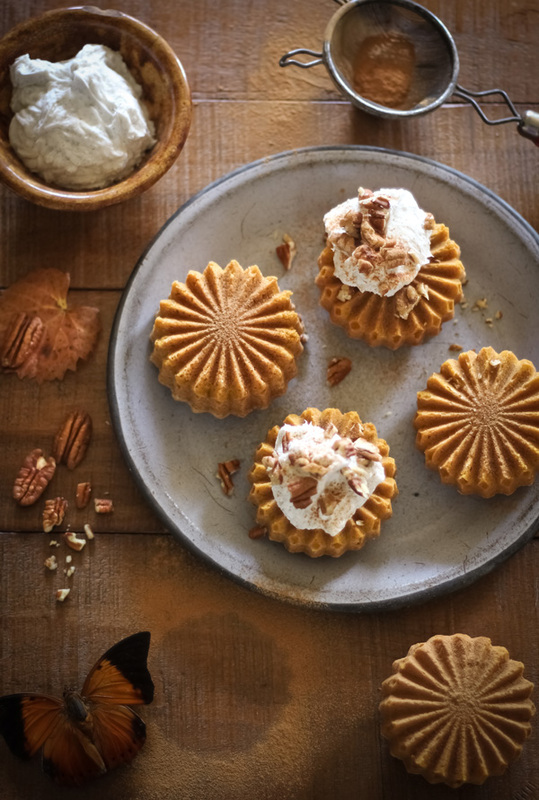 And I love that they are made with pantry staples - no weird substitutes or hard-to-find ingredients. I hope you'll try them! Hello October! After a humid summer here in the southern US, temperatures have finally cooled. To me, the world feels more awake and invigorated! The sky seems bluer, the landscape sharper, and the pugs are frisking in the brisk fall air. We are truly in our happy place! 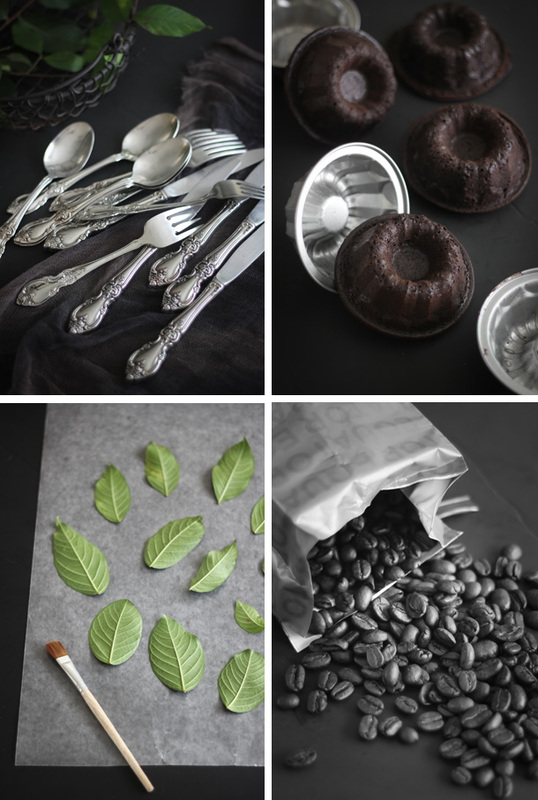 Along with cool weather and mini specters, October brings us Fair Trade month. It seems like everywhere we look - in all corners of the world - there are needs to be met. 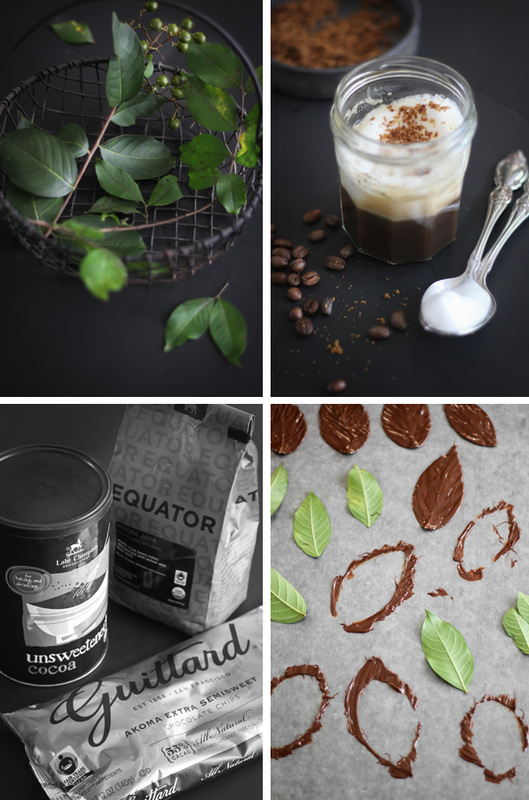 It can be overwhelming to think about, but doing something small like buying Fair Trade Certified coffee and chocolate can positively impact someone's life. It's a good thing for you, too. Fair trade products are grown and prepared with care, using no pesticides, no GMO's, and with practices that will protect the environment. 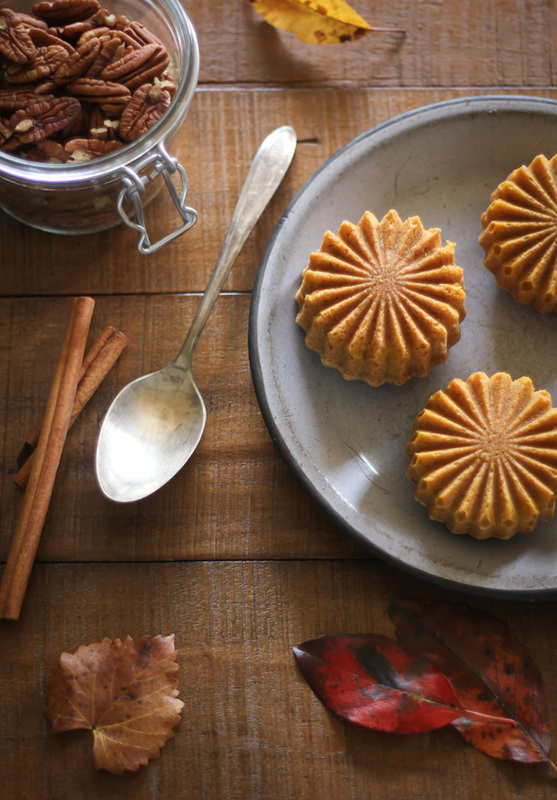 Add to this list a slew of awards and accolades for outstanding flavor, and you can be sure that buying Fair Trade Certified products for your baking is a good decision! 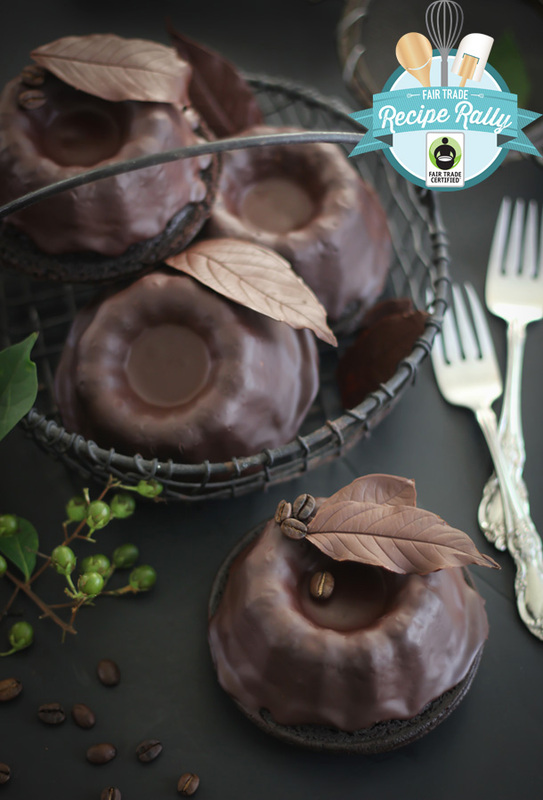 These baby bundts were made using Lake Champlain baking cocoa and Guittard extra semisweet baking chips. Both are Fair Trade Certified and are known for their superior quality. Together they give this cake a chocolaty flavor that is deep and lingering; a quality I also attribute to the dose of Equator coffee added to the batter. 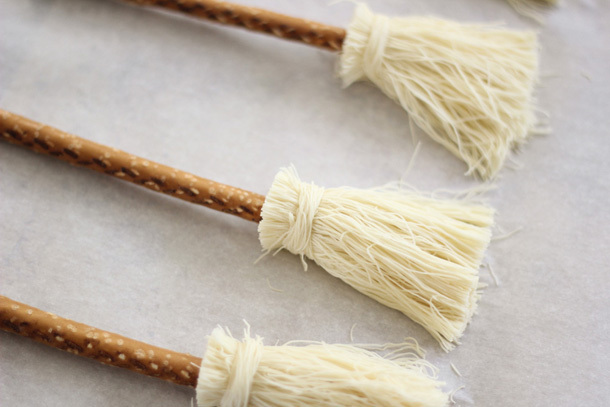 Pretzel Broomstick Appetizers for the Etsy Blog! 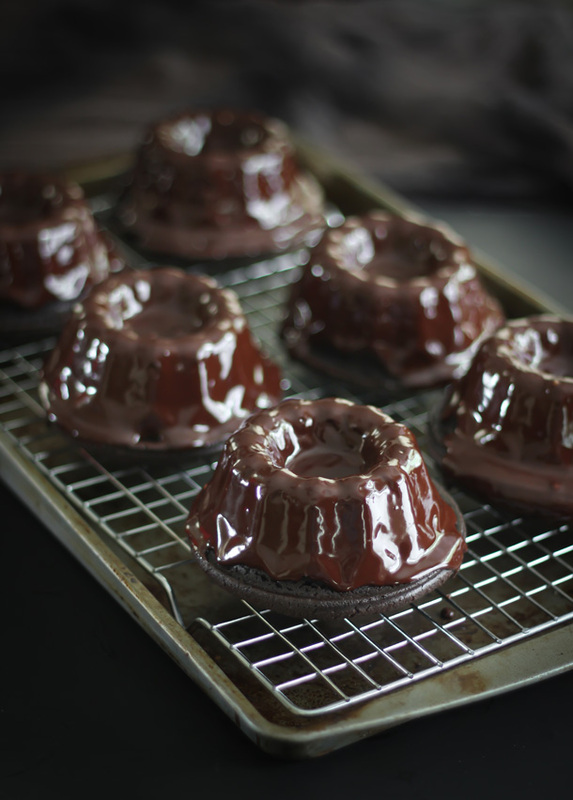 Baby Chocolate Bundt Cakes for Fair Trade Month!